It is widely known having high blood pressure can have negative repercussions throughout the body. Many medical professionals have urged patients to lower their blood pressure to below a certain ‘safe’ level through stress release exercises or medication. However, a recent study shows that lowering one’s blood pressure even further can have enormous benefits. The National Institutes of Health announced on Friday that patients over 50 who reduced their blood pressure to well below the recommended level significantly reduced their risks of heart attack and death. “This study provides potentially life-saving information,” said Dr. Gary Gibbons, director of NIH’s National Heart, Lung and Blood Institute. Normal blood pressure is considered to be measurements around 120 over 80. High blood pressure is considered to be anything above 140 over 90. About a third of Americans have high blood pressure. This leads to increased risks of heart attacks, strokes, kidney failure, and other serious health concerns. Today’s guidelines advise patents to get the top number, the systolic pressure, to at least 140. In cases where patients have a history of medical aliments, doctors recommend getting that number to at least 130. A long running debate among doctors is just how low should blood pressure go, especially as a patient gets older. Although the study’s results are preliminary, it would appear that the answer is far lower than many believed. “This study certainly supports that lower is better,” said Dr. Mark Creager, president of the American Heart Association. The NIH sponsored a study that would determine if the stated guidelines really are optimal. And if a patient can get their systolic pressure even lower, would this be helpful or harmful? The study is called SPRINT- the Systolic Blood Pressure Intervention Trial. 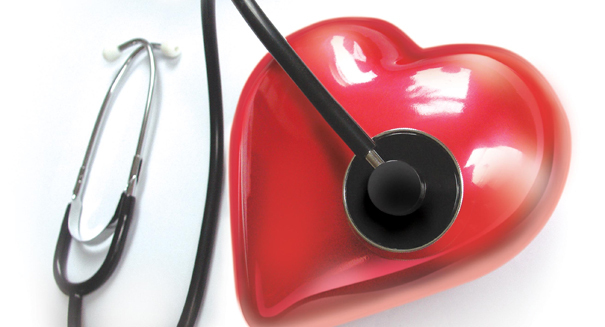 Since 2010, researchers have examined over 9,300 patients with high blood pressure. Half of these patients were given the standard treatment that aimed to get the systolic pressure to 140. They other half was given additional medication with the aim of getting below 120. The patients in the latter group saw their rates of cardiovascular problems reduced by 30 percent compared with the control group. Additionally, the risk of death for the patients with blood pressures of 120 was reduced by almost 25 percent. Nonetheless, researchers are urging doctors not to switch a patient’s treatment plan just yet. Consideration still needs to be given about the possible side effects of middle-aged blood pressure levels in elder patients. For instance, does the lower systolic pressure level increase a senior’s risk of falling? The full results of the study will be published in December in a scientific journal. “The important public health message is to speak with their health care providers,” said NHLBI heart specialist Dr. George Mensah. Until such a time as the results are fully known, the NIH continues to recommend good dietary habits, regular physical activity, and quitting smoking to maintain a healthy blood pressure. “The worst thing people with high blood pressure can do is ignore it,” said Creager. The researchers will continue to monitor the study’s participants to see how brain and organ function are affected by the aggressive treatment of blood pressure.